We are back with our High Street Easter Egg Treasure Hunt! Find the 15 hidden eggs in selected High Street windows to be in with a chance of winning some great prizes in the draw! 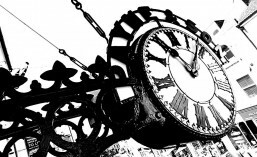 Maps will be available from and should be returned to us here at number 37 High Street. 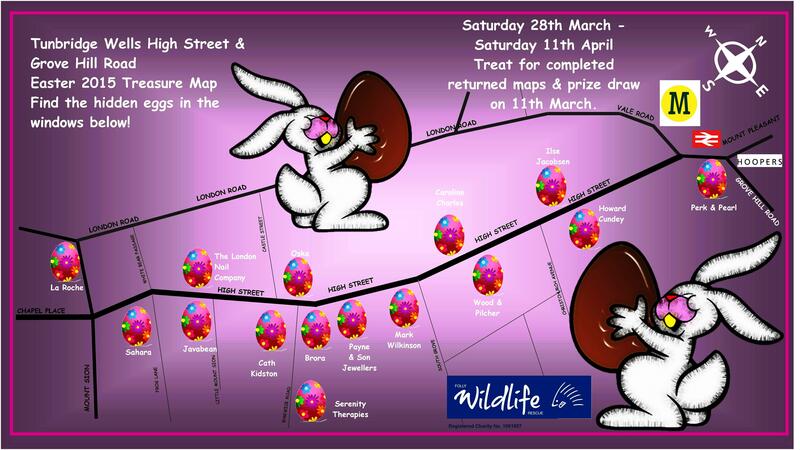 Returned maps will receive a chocolate treat and all maps will be entered into a grand prize draw on Saturday 11th April at 12 noon to win a number of prizes which are being donated by the shops in the High Street. All proceeds to our chosen charity this year – Folly Wildlife Rescue. Situated in the Broadwater Forest near Tunbridge Wells in Kent, Folly Wildlife Rescue Trust is a charity dedicated to the rescue and rehabilitation of injured, orphaned and distressed wild animals and birds throughout West Kent, East Sussex and the surrounding region. Each year some 3500 injured, orphaned, sick or distressed wild animals and birds are admitted to our centre where they receive expert care and veterinary treatment. Some (but very few) have fallen from nests in high winds, or are the survivors of attack or predation by other wild animals, but by far, the vast majority are the victims of human activity.